In this era where health awareness is ever-increasing, it’s never been easier to fuel the body in the ways it needs. 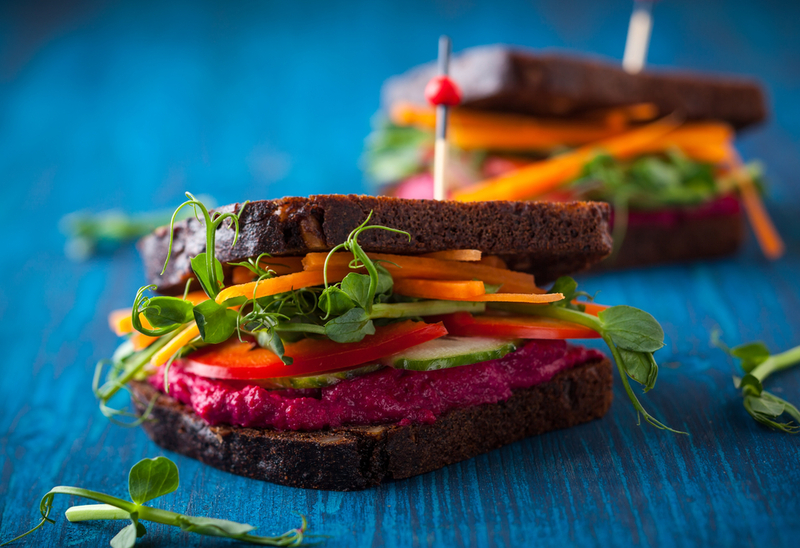 Due to increased awareness of food intolerances and dietary restrictions, however, finding suitable options that are both nutritious and satisfying can be difficult at times. For that reason, this article introduces meals for those who are simultaneously dairy-free, soy-intolerant, gluten-intolerant, nightshade-intolerant, and vegan. Keep reading for recipe ideas. 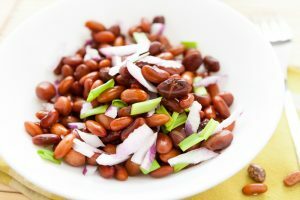 With a little thought, it is possible to make something out of pinto beans that is not only creamy, flavorful, and satisfying, but also features a full nutritional profile. To complete this dish, you will need half of a 14 oz. can of pinto beans, a third of an onion, three cloves of garlic, pink Himalayan salt of sea salt, ground cumin, ten leaves of kale, an avocado, and chia seeds and coriander, if desired. Coconut oil is ideal for the flavor, but avocado and canola oils can work as well. (Beware that vegetable oil is often composed largely of soybean oil and is therefore not friendly to soy-intolerant consumers.) You will also need approximately a half cup of rice, particularly health-conscious varieties like brown rice, black rice, or red rice (one cup cooked), or more if preferred. To prepare, dice the onion, finely chop the garlic, wash the kale, and shred it into smaller pieces. Cut the avocado in half, refrigerate the half that retained the pit, and slice a grid pattern into the other half. Set this aside. Make sure to start the rice cooking well in advance or use leftovers from another pot of rice. Set a medium-sized frying pan on medium heat and toss in a spoonful of coconut oil to melt. Once it has melted, toss in the diced onion, making sure that the individual pieces have fairly even exposure to the surface of the pan, and wait one or two minutes. Next, add the garlic, and stirring it in with the onion, and sprinkle in the cumin as desired. (If unsure, add approximately one teaspoon.) Fans of coriander should add approximately half this amount of coriander now and stir so that the spices evenly coat the onion and garlic. Next add the kale, taking care to stir so that the leaves are cooking rather than sitting atop the rest of the food. They should wilt within a couple of minutes, during which period you may wish to stir the rice in with the rest of the ingredients for flavor. This would also be an ideal time to incorporate a spoonful of chia seeds or flax seeds, if desired, for a subtle crunch. Salt the entire dish with the pink Himalayan salt or sea salt, to taste. Remove the pan from heat, transfer the food into a bowl, and squeeze out the half avocado over top of it. Once finished, you will have in front of you a meal that contains complete amino acids, considerable fiber, vitamins A, C, and K, and the fats you will need to fuel your brain. This dish is also ideal for busy people who do not have time to cook every day, as it reheats well. Those who are not nightshade intolerant may wish to add a spoonful of yellow curry sauce, but flavors from the coconut oil, avocado, cumin, coriander, garlic, and sea salt will hardly fail to satisfy. These are great for anyone on a quest for health because they are so flexible. Automatically soy, dairy, meat, and gluten-free, this is a dish that can be enjoyed by most people. If you have a blender or food processor in your kitchen, you can skip the restaurant takeaway and make them more affordable in your own home. After purchasing acai packets from the frozen section at a retailer like Trader Joe’s or Whole Foods, you will need to thaw them. Acai comes in packs of four to six packets, each of which can be thawed quickly when running under warm water for ten seconds or submerged in a bowl of warm water, depending on your preferences. (Take care not to over-thaw the packets and end up with a watery acai bowl.) Adding some maple syrup to the food processor or blender can help achieve a smoother consistency, but those on low-sugar diets can substitute this with no-sugar-added coconut milk or almond milk. People who are looking to consume more calories at once, or to remain satiated for intermittent fasting, may consider nut butters. The benefits of acai bowls, which may be free of added sugar when made at home, are manifold. Acai provides enough antioxidants that people who consume these bowls regularly will often stop craving other junkier foods, like chocolate. 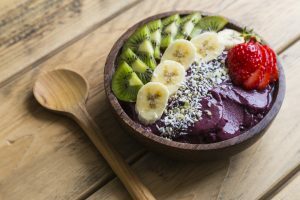 It is essential, however, that those who decide to make acai bowls part of their routine are conscious of the sugar content of each of the ingredients they add. Choose nut butters and granola with minimal or zero added sugar, resist the temptation to layer the completed dish with honey, and make sure that all almond milk, coconut milk, and coconut flakes are unsweetened. Avoid additions of fruit juice, which usually contain roughly the same amount of sugar as soda. 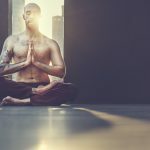 Keep in mind that the American Heart Association mentions men should consume no more than 37.5 grams of sugar per day, and don’t forget to read nutrition labels. Tropically inspired acai bowl: Once the blending is complete, layer the perimeter of the bowl with kiwi slices, complement it with pineapple slices, and sprinkle shredded unsweetened coconut in the center. A coconut-inspired granola could add to this combination, if desired. Classic: Layer the acai bowl with concentric rings of banana slices, strawberry slices, and blueberries, and top it with your favorite granola.